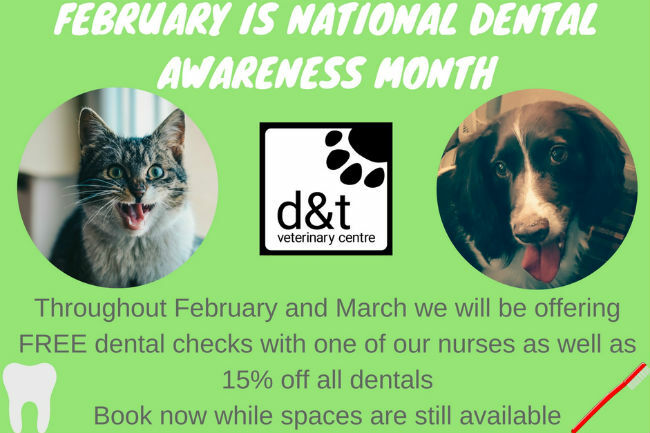 Our free nurse dental checks have proved very popular throughout February so we are continuing our dental campaign until the end of March. If you haven’t had the chance to book your free nurse dental check yet, please call the practice as soon as possible as spaces are filling fast. Our nurses can assess the condition of your animal’s oral health and also advise on cleaning techniques and anti-plaque products available. Don’t forget any dental work carried out this month will also have a 15% discount applied. Previous PostPrevious Diabetes no reason not to live life to the Max!